Up to 50% OFF Your First 2 Months! Their storage place in FARMINGDALE is great, their movers are on time and do a great job, like anything before you sign a contract with anyone look it over first before you sign it, the devil is in the details, if you not happy about something, write in in to the contract first, then sign it. I was warmly greeted and felt welcomed immediately by both the Manager Ozay and Assistant Manager Rob. I was taken step by step through the process and was offered guidance and suggestions when I needed it. The storage rooms were clean and I felt confidant that my belongings will remain safe and sound until i'm ready to move them out. The superior customer service I received helped me to lock-in my decision to rent my space at this location! Moving is stressful. We originally were going to use another moving company and they were extremely uncooperative and unwilling to work with us as we were moving from NY to NC. Dealing with Nick was a pleasure. The crew in NY were absolutely fantastic. It was not an easy move for them as I was also moving my home business as well as our personal belongings. They were so helpful and courteous through the entire process. I can't say enough good things about Alan, Michael, Emilio and Jeffrey. They worked so hard and were always pleasant. We ran into some issues when our items arrived in NC and when I emailed Nick to explain to him what our concerns were, he was extremely helpful and very concerned about the issues we experienced. He addressed the problem himself and with his operations manager and made sure we were happy and the outcome had a satisfactory resolution. It's not often that when you are dealing with a business that truly cares about customer satisfaction. My husband and I were extremely pleased with how they handled our concerns. This is a business that truly cares about customer service. Thank you Nick....thank you Ran Moshe! Men On The Move Self-Storage is a family owned and operated company that puts your priorities first! That's why, over the next several months, we are giving our Farmingdale location a huge facelift! This convenient facility is located right on RT 109, right off RT 110! Store your items right across the street from Bethpage FCU and Retro Fitness on the 109. This solid, CMU block facility is sure to provide a safe, dry, and close storage solution for your residential or commercial storage needs! 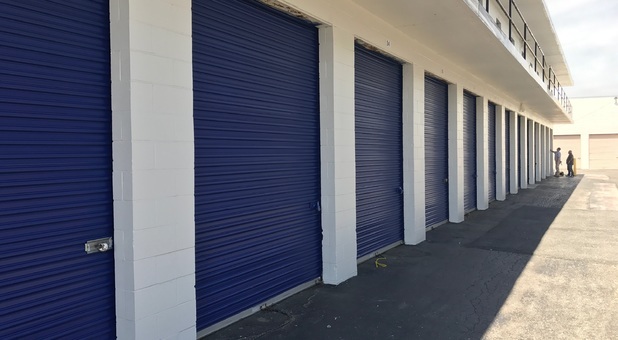 We provide storage to the following towns: Farmingdale, Plainview, Bethpage, Hicksville, Deer Park, Amityville, Wantagh, Levittown, Seaford, Massapequa, Plainedge, Bellemore, and North Merrick! Free Truck + Driver for Move-In! Take advantage of our professional moving division to help you move into your new storage unit! Our driver will drive the truck from your house to our storage facility, saving you a multiple trips and the cost of a truck rental. This is a limited offer, call for details. To receive a size suggestion, select the items you wish to store.